Powerful midfielder Ngani Laumape has become the latest player to commit to New Zealand, after extending his contract with New Zealand Rugby and his Hurricanes Super Rugby team. 25-year-old Laumape made his Investec Super Rugby and provincial debut for the Hurricanes and Manawatu respectively in 2016 and his All Blacks debut in 2017. 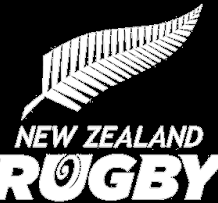 He has played 10 times for the All Blacks, as well as 44 Super Rugby games and 14 Manawatu matches. Laumape acknowledged that while he had received offers to head overseas at the end of the 2019 season, he felt it was the best thing for himself and his family to continue to play for the Hurricanes, look to again play for the All Blacks, as well as extend his provincial contract. “It was a decision that I feel really happy with and it also gives me and my family security to know where we will be to at least the end of 2021,” he said. 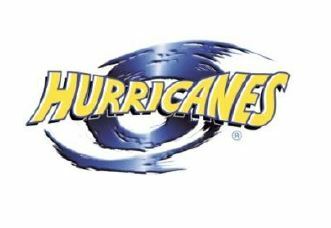 Hurricanes Head Coach John Plumtree said he was delighted that Laumape would continue to be at the club beyond 2019. “To get Ngani committed to being at the Hurricanes until 2021, so soon after Dane Coles also announced he was staying, it’s more great news for us,” he said. Hurricanes Chief Executive Avan Lee said Laumape’s decision to extend his time with the Hurricanes and New Zealand Rugby was another positive signal. Laumape has also extended his contract with Manawatu Rugby, with CEO Shannon Paku also welcoming the news. Palmerston North-born Ngani Laumape attended Palmerston North Boys’ High School and was selected for the New Zealand Schools team in 2011. Despite his early rugby success, Laumape decided to sign with the Warriors rugby league team when he left school and by 2014 he was an established starter in the squad. The following year he investigated a return to rugby and made his Investec Super Rugby debut for the Hurricanes in the opening match of the 2016 season. 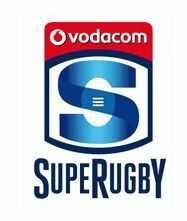 He went on to make 11 appearances, including seven starts, to help the Hurricanes to their inaugural Super Rugby title. Laumape made his All Blacks Test debut in 2017 coming off the back of a stunning Investec Super Rugby season where he topped the try-scoring list with 15 tries. The powerful midfielder made an assured Test debut against the British & Irish Lions, scoring an outstanding try in the third Test and went on to make three appearances later in the Investec Rugby Championship and also toured to the Northern Hemisphere later that year, playing two non-Tests. He followed that up with six appearances in 2018.